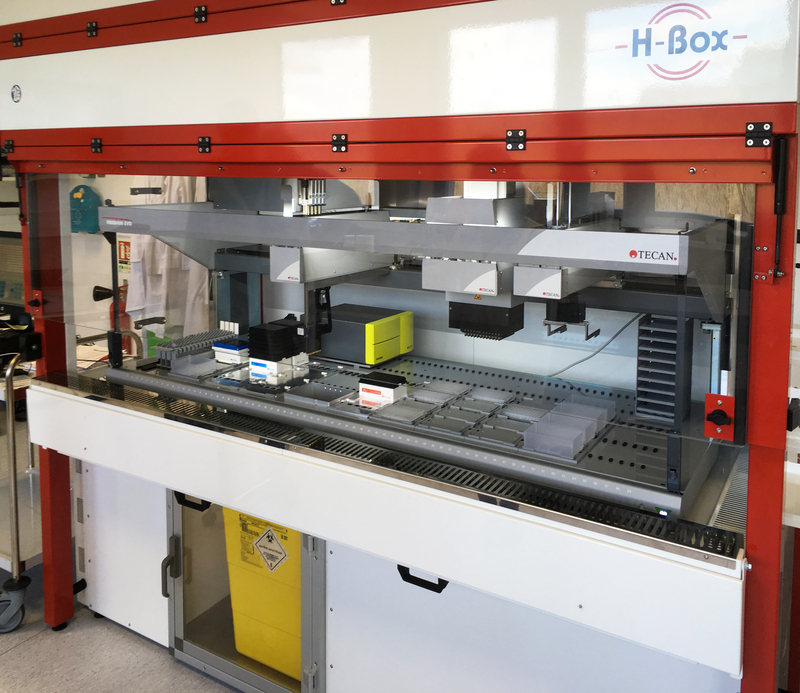 H-Box Safety Cabinets: Protect your samples, your staff and the environment. Safety first! 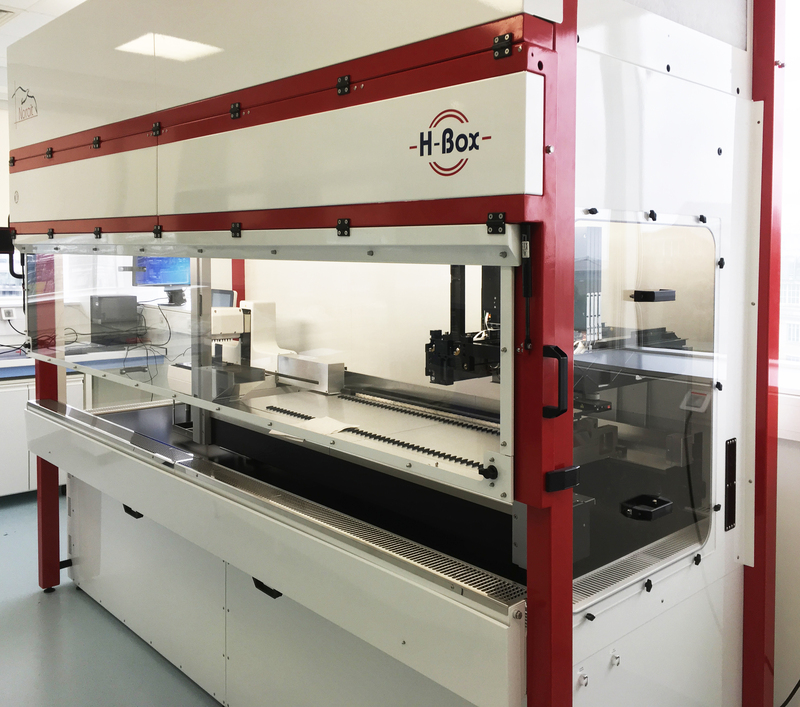 Fully customized to suit your needs, the H-Box is a bespoke Class II Safety Cabinet designed to accommodate robotic equipment used in liquid handling or cell sorting applications, involving pathogenic or transgenic cells. 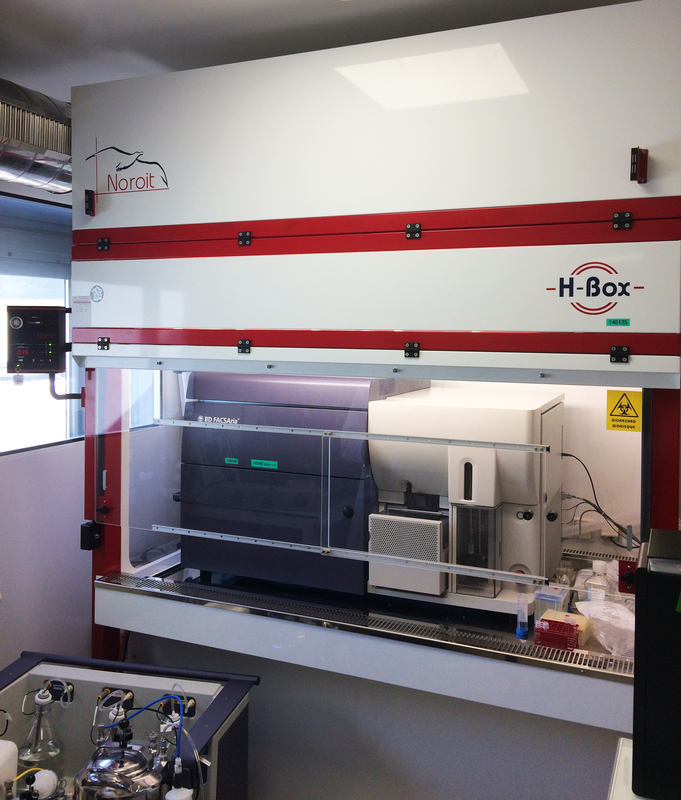 The H-Box is a large-sized cabinet that can fit around any existing laboratory equipment. 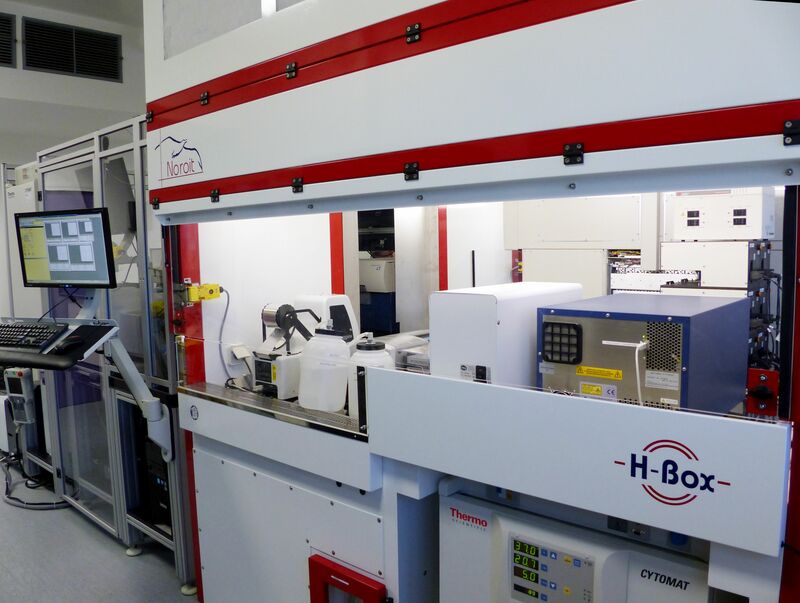 The H-Box Class II Cabinets are essential equipment in flow cytometry platforms, in screening and diagnosis laboratories. The H-Box protects the manipulations, the operators and the environment by means of the H14 absolute filters and by creating an air barrier at the front edge of the work tray. 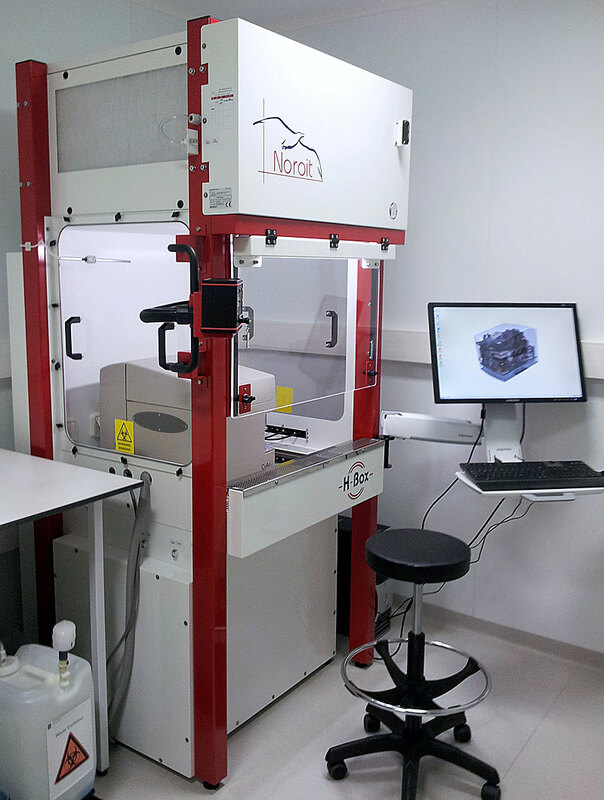 Weighting station, (0.1 µg accuracy, thanks to its exclusive and sturdy design). Chemical filtration for DMSO, formaldehyde, formic acid, etc.